Home / Bio-metrics / Finger Print Scanners / Future Technology / Smartphone Displays / Smartphone Displays Will Soon Have built in Bio-metric Scanner - Thanks to Synaptic. Smartphone Displays Will Soon Have built in Bio-metric Scanner - Thanks to Synaptic. It has been a great journey of your mobile phones screens. From normal old age screens to Coloured Displays, From LCD Screens to Led, From Non-Touch to Touch Screen Displays. Your Smartphones have always kept on evolving and so does the screen. Today most of the devices carry full-width displays with little or no bezel or ink area on the sides. 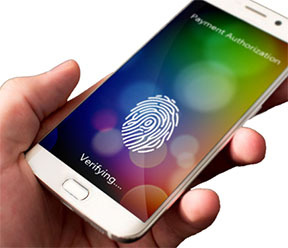 As Bio-metrics are proven to be more secure option as compared to password or PIN, the use of bio-metrics ( fingerprint Scanner) for user identity is increasingly getting accepted and popular for both device unlock (user authentication) and transactions (authorization with user authentication). Today many Smartphone vendors have started developing mobile phones containing bio-metric sensors. a fingerprint sensor is now available on nearly all flagship and other high-end models, even low budget phones like redimi too have introduced smartphones with bio-metric (Fingerprint scanner). Must Read: Get Smart About Home Work and Smartphone. Many such vendors are introducing A fingerprint scanner tool in place of regular home button and on some devices with full screen displays have included the same on the back of device. While the vendors are widely introducing Finger print ( bio-metric scanners ) Synaptic is working hard to develop a screen with built in bio-metric Scanner. Must Read: Cyber Victims in India Don't Learn Anything . Synaptic believes by the development of such technology Devices will completely be inaccessible to anyone but the owner, who will be able to conduct any and all interactions and transactions with utter ease and complete confidence. And the smartphone will become an even more indispensable part of our daily lives.